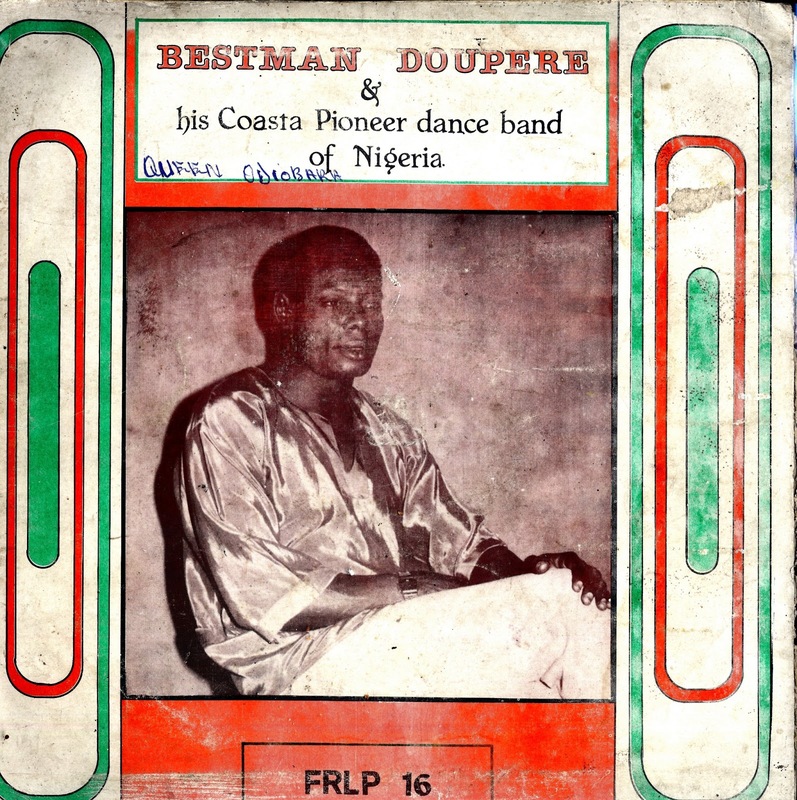 For the next selection on the highlife turntable, I have selected the track Amene Yerin Kenimiweremi , by Bestman Doupere and his coastal pioneer dance band of Nigeria, off a Felix record release. I know very little about the performer. 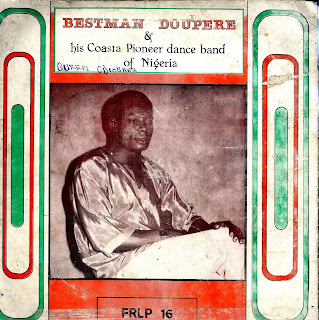 John Beadle once sent me a record list that included this performer name and described him as a Ijaw highlife musician. The Ijaw are the largest ethnic group in the Bayelsa State in the Niger Delta. John goes on to say contemporary Ijaw highlife guitar music is called Awigiri and is a Nigerian style of highlife, which sounds most similar to Ghanaian guitar highlife. The record came out in the early to mid 80's. Yes! The musician in question is my biological father and the Ijaws are really proud of him.Please upload more of his albums for the entire world.